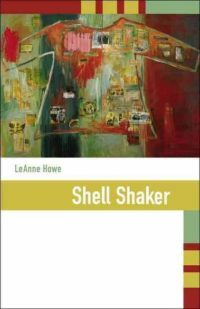 The action in Shell Shaker alternates between 1738, as a Mississippi Choctow family prepares for war against the English, and the 1990s, as their Oklahoma descendants, the Billys, fight a Mafia takeover of the tribe’s casino. In trouble with the law and in the fight of their lives, the Billy women must find a way, as their ancestors did, to join forces. Humor and toughness are the Billys’ only weapons. Until the Shell Shaker shows up. Why was Red Shoes, the most formidable Choctaw warrior of the eighteenth century, assassinated by his own people? Why does his death haunt Auda Billy, an Oklahoma Choctaw woman, accused in 1991 of murdering Choctaw Chief Redford McAlester? Moving between the known details of Red Shoes life and the riddle of McAlesters death, this novel traces the history of the Billy women whose destiny it is to solve both murders  with the help of a powerful spirit known as the Shell Shaker. As the Billys fight to save their Choctaw community, a 250-year-old history plays itself out again.